Today I wanted to share with you my Christmas card that was published in the December 2013 edition of Cricut Cards Magazine. It's on page 21! I wish I could have shared it with you earlier but rules are rules. I had to wait at least until the end of January. Didn't it turn out so cute? It's one of my favorites I've ever done. 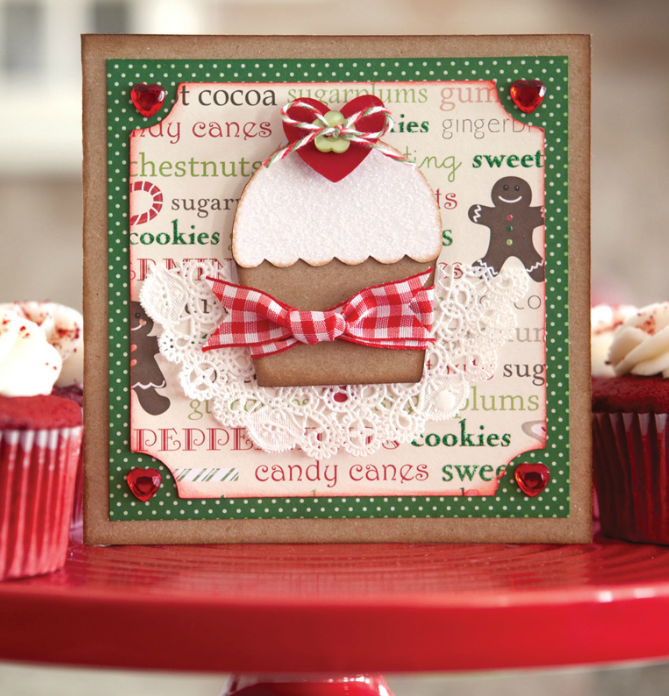 I used the Sweet Treats and Elegant Edges Cricut cartridges to cut my cupcake and word layer. Complete instructions are on page 22 of the magazine if you are a subscriber.